The tale of the Dragonblood Clan can now be told, as Dragon Marked for Death is now available for Nintendo Switch! Take on quests solo, or with up to four people in local or online multiplayer in this dark fantasy style 2D side-scrolling action RPG! 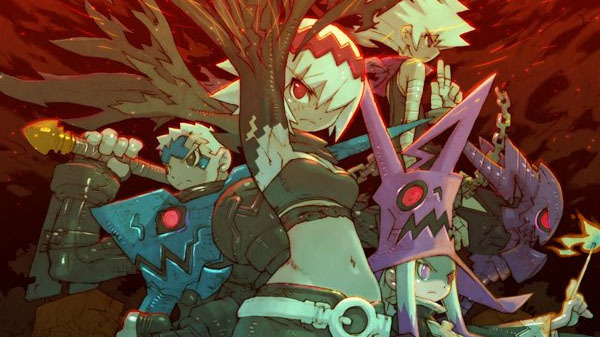 Dragon Marked for Death has a day one update available, bringing the game up to Version 1.1.0. Here are the patch notes for that update. Japanese voices can now be selected and assigned during character creation. You can now reallocate your bonus stat points by using a "Dragonite" item. Character levels are now displayed on the character select screen, with unused characters being marked as "NEW". The durability of Dragon Spheres has been adjusted. Detailed information about items obtained on quests can now be viewed on the Quest Results screen. When your character levels up, information about what each stat parameter does will be visible. Players can now change their equipment and more while waiting in the matchmaking lobby. Therefore, changes to the user interface and how that information is displayed have been changed. Pre-set chat commands have been changed. If a connection error occurs during a multiplayer game, the player will have the option of continuing the quest in solo mode. After finishing a quest in multiplayer, players will no longer have to wait for everyone to finish before being able to return to the matchmaking lobby. Abandoning a quest midway through will require agreement from other party members. Search conditions for Open Matching in online multiplayer games have been changed. Parties will no longer be automatically disbanded after completing a quest in online multiplayer. Improved overall connection stability in online multiplayer modes. Playable characters will now look tired with their health is low. Attack power stats for all playable characters have been adjusted. The rate of recovery for each playable character's Dragon Points has been adjusted. The amount that Dragon Skill attack power increases by raising the PIE stat has been adjusted. The power of the Warrior's Dragon Guard and the amount of HP the Witch's recovery magic can heal are now based on the PIE stat. The attack power of the 4th slash in the Empress's combo attack and her jump attack have been adjusted. Additionally, the number of attacks she can do has also been adjusted. The Witch's PIE stat now determines the length of time she can hold onto a prepared spell. The amount of hate generated by various actions has been changed. The types of actions that generate hate have been adjusted. The conditions required to obtain the game's various endings have been changed. Various messages related to your progress in the story have been added. The difficulty level(s) that can be selected for some quests have been changed. The types of rare drops that can be obtained from treasure chests and the rate of rare drops have been changed. The line-up of equipment available from the shops in town has been changed a bit. The prices and effects of items sold in stores have been changed. Stat parameters for various monsters have been adjusted. Various types of small bugs have been fixed. Dragon Marked for Death is just about here! If you plan on grabbing the game, these details fresh from the eShop might be of note. The release of Dragon Marked for Death is almost heeere! Join us live from Inti HQ this Wednesday at 9pmET/6pmPT as we celebrate the occasion with some 4-player DMFD action with guests Fraser & Becky from @FFStv! 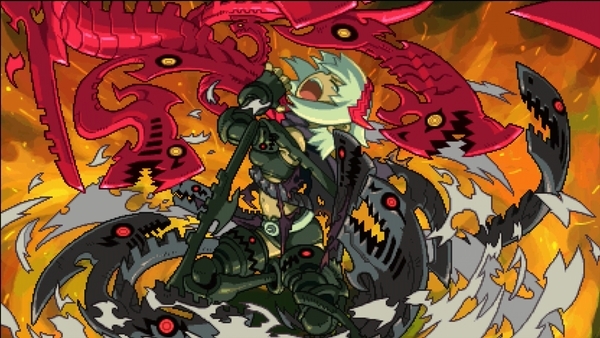 Here's your last chance to prepare for the upcoming launch of Dragon Marked for Death. Inti Creates is going to be hosting a live-stream event for the game tomorrow, Jan. 30th, 2019, at 9PM EST. Tune in to check out the game in action, and hear all about what makes it tick! 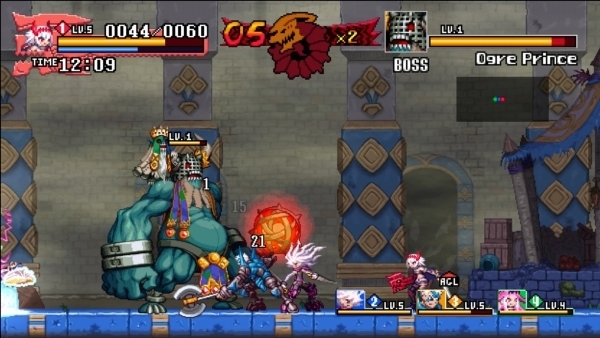 Dragon Marked for Death is a 2D side-scrolling action RPG game where you can play solo or with up to 4 players in either local or online multiplayer. Well-thought-out, challenging level designs based around intuitive 2D-action-based gameplay await! This definitive version comes with All 4 Characters, the Additional Quest DLC, which includes access to bonus quests, and the special equipment set, the Striker Gear Pack. edition. Retail pre-orders are available now through GameStop, and coming soon to other retailers. 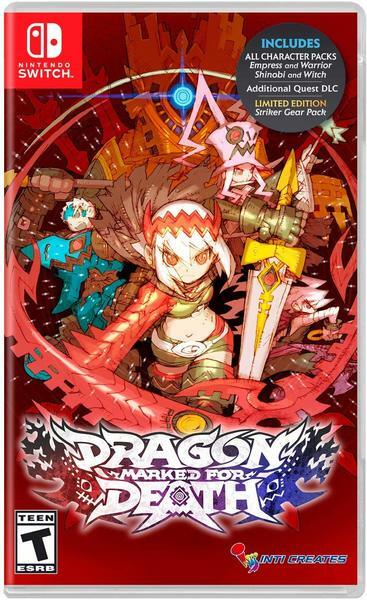 The Dragon Marked for Death coverage has temporarily moved on from characters and instead shifted to locations. Check out info on the Southern Kingdom of Ritus below. The Southern Kingdom of Ritus is located at the remnants of Atruum’s thigh. One of the five godly weapons (a wand) fell there. In the past, the nation prospered alongside Medius with its amazing magic. After the death of its king sapped the nation of its magic source, however, the region dried up into a barren desert.